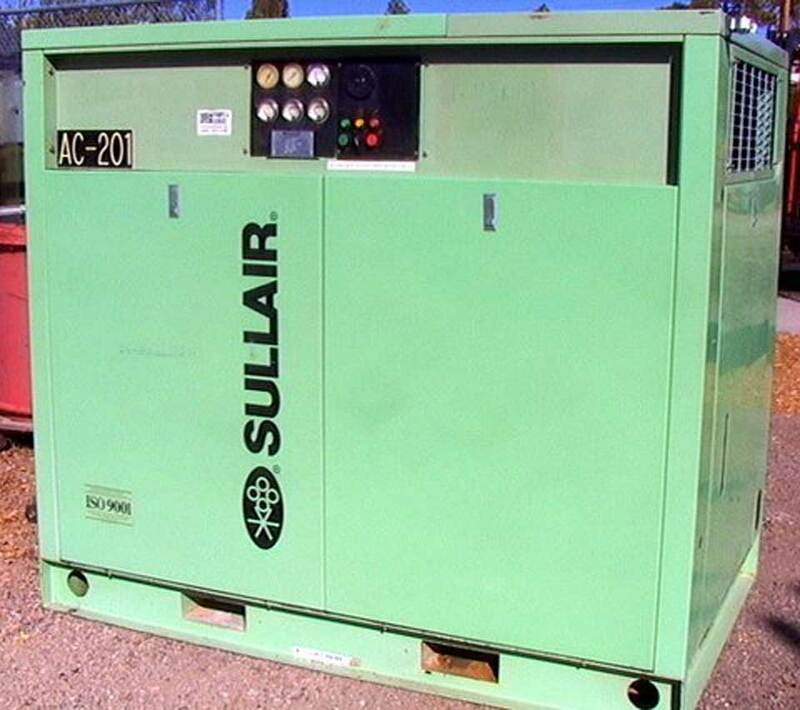 For sale is a 50hp 200 cfm Ingersol Rand Type 40 2-stage reciprocating air compressor Model 50H rated to 250 PSI. Cavlon Item # 589. Raw weight is 3500 lbs. We recommend shipping this item via Backhaul. It can however be shipped LTL. If the item is shipped LTL there is an additional $125 custom packaging fee to ensure this item is safely delivered to your destination. For sale is a 75 HP Gardner Denver Air Compressor EDFQLA Air Cooled. Cavlon Item # 586. Raw weight is 2480 lbs. 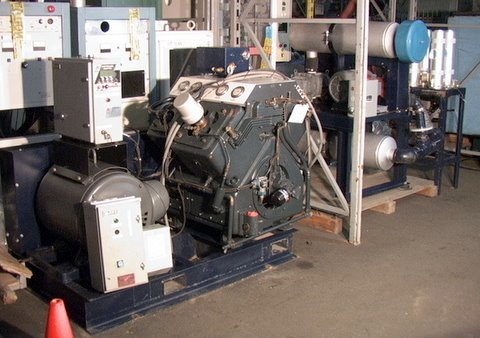 For sale is a Large 4-Stage Rig Tensioning or Breathing-Air 4000 PSI 75 CFM Air Compressor 3-part System Hamworthy American Bristol Fresh Air Cavlon Item # 3964 Raw weight is 5110 lbs. Raw dimensions are as follows: o 1) main compressor unit ~4000? lbs, 72 by 48 by 50 inches raw o 2) precharge blower unit ~766# 52 by 38 by 53 inches raw o 3) high pressure filter unit ~344# 40 by 15 by 55 inches raw Due to the weight of this item, some special consideration for shipping is required. If seriously interested in this item, please contact Cavlon for a shipping quote. For sale is a Tuthill M-D Pneumatics air blower pump compressor 7018 21L2 with Stoddard PD33-8 Silencer and motor mount stand. Cavlon Item # 1530. Raw dimensions are 96*43*70.